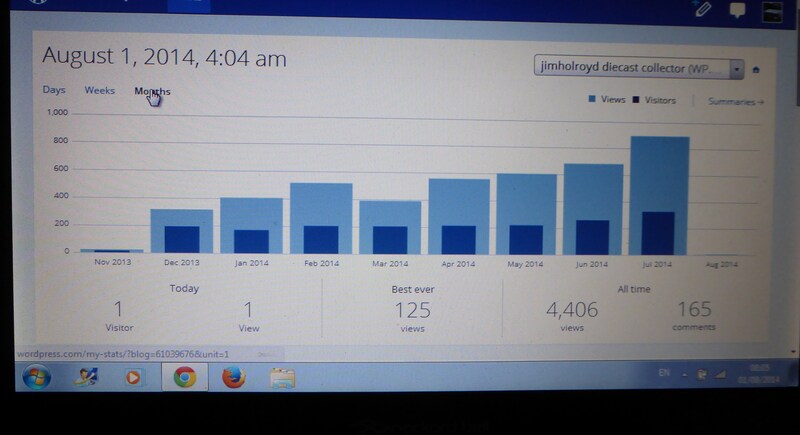 I am quite an avid follower of my blogging statistics. I have two blogs, this one and a specialist diecast blog. Both began around the same time in November 2013. This one is about many things but mainly for sharing my photos (especially responding to the “Weekly Photo Challenge”), reviewing books I’ve read and trying to make sense of living in a foreign land (Georgia…the language and customs etc…). This is the 207th post, the blog has 126 followers (hi y’all!). Views peaked in March and have gone down slowly since. The diecast blog statistics are quite different. 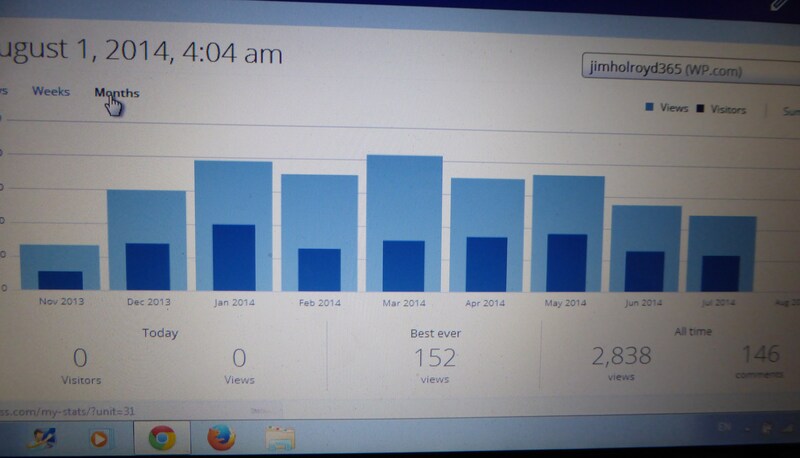 There I have made 147 posts, I have just 23 followers but the views are going up month after month. The geographical distribution for the two blogs differs, too. A large gap between the top three and the rest. No surprise seeing USA and UK, first and second, but Philippines in third is interesting, I know a few Filipinos through Facebook who are very keen collectors of Hot Wheels cars. In my adopted country Georgia, there isn’t a big diecast scene. Thanks to all my viewers and followers any comments appreciated. I’ve joined too many groups, I should really go and get a life. I am in around fifty Facebook groups, some I use regularly others I wonder why I joined. Pinoy Hot Wheels Collectors Club (PHWCC). This is a Filipino group with over 1000 members dedicated to collecting Hot Wheels. I often post pictures of my new acquisitions, and am inspired to look for what other members post. Hot Wheels Club (Philippines). Very similar to Pinoy group. Matchbox e Majorette. 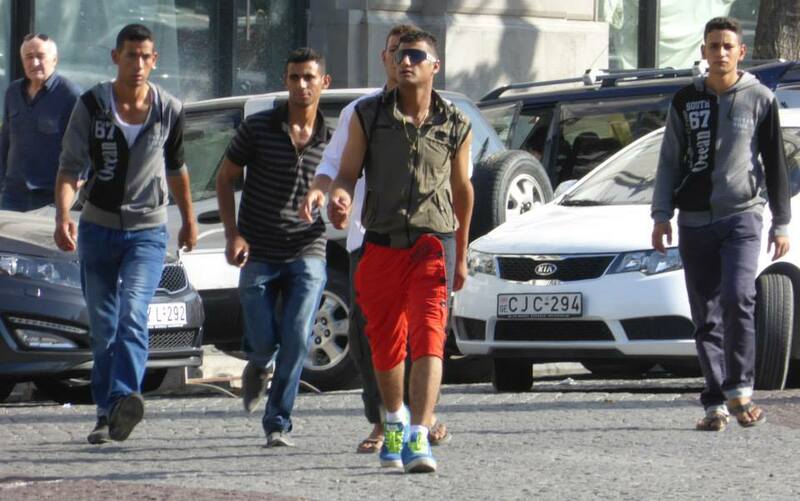 Portuguese group for Matchbox and Majorette. Two of my favourite maunfacturers of diecast cars. MCCH-The Matchbox Collectors’ Community Hall. A group for collectors of old pre-Superfast (1970) Matchbox cars. Diecast Model Cars, Dinky, Corgi, Matchbox and More. Focusing on the British manufacturers of diecast models. I often share my diecast blog posts to these groups. This is a philosophy group, I was added by a friend and erstwhile colleague, Jim Cook, even though I have never studied philosophy and don’t know my Kant from my Nietzsche . This is a very active group with over a thousand members of different political and philosophical persuasions. I now have 40 Facebook friends in this group, of which only about 4 I have ever met in real life. “Is medical intervention in the long term interests of a species? Is it predictable that heavy reliance on such processes may lead to a specialised form of human being that requires a synthesised environment in order to survive? My favourite group is possibly The Forest of Serendipity, which is for artists sharing ideas and images on a theme. Currently they are sharing artistic images of chairs. 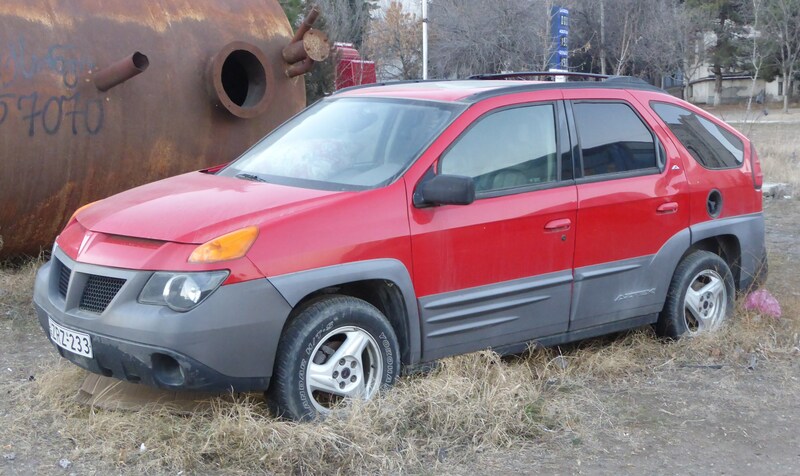 like this Pontiac Aztek. Beauty is in the eye of the beholder, I guess. Chez Pantalon Rouge created by serial Facebook Group creator Andrew McFall, is a strange group, which I’ve posted about before. Members post photos taken of folk wearing red trousers…it can be quite addictive…trying to capture our quarry can be quite a task and might even bring out our inner creep. Les Crimes Fashionnel, this is similar to Chez Pantalon Rouge,for posting images of fashion crimes…created by Sue Cowley, Andrew McFall is an admin, bringing out the Gok Wan in all of us. Tbilisi English Book Swap, this actually is practical and relates to a group of us who meet once a month in a cafe in Tbilisi to swap English books. The Marquee Club, Wardour Street a nostalgic group for a club I visited many times in the eighties to see bands like Fields of the Nephilim, The Wonderstuff, Twelfth Night and Magnum. Lada UK Another group I can share my photos with, there being many more Ladas here than in the UK. Gay Classic Car Group I’m neither gay nor do I own a classic car (or any car), but I do like the pictures they post of some lovely sixties and seventies cars. Read All Abaht it and Weep Funny headlines and juxtapositions of images and titles in newspapers. An Andrew McFall creation. Jim’s Cafe. Not my cafe, but Jim Cook’s for posts relating to motorcycling. Pop Trash For trashy popular culture especially music. The Club “Group created to be a place where people could post links to introduce people to different music, movies, books, and all other types of ART. (Originally for the sole purpose of supplying me with a single place to look rather than having to search the internet for new and interesting stuff. Basically I’ve become sick of how much effort needs to be put in to find AWESOME things. lol. )” I had to check the description because I so rarely use the group. MuseSick-al Mutants Another group sharing music like The Cure and Frank Zappa. Andrew’s Irritating Earworm Emporium. For those tunes you can’t get out of your head like “Too Shy” by Kajagoogoo. Andrew? Need you ask? Andrew McFall, again. The Haringey Poetry Society. A group for stand up comedians. I’m not sure if I qualify, having performed only seven times. I Saw a Classic Car Today 🙂 For posting pics of classic cars, although someone seems to be just posting images they find on the Internet, which seems to be cheating. The Government is doing a jolly good job...A satircal site. An Andrew McFall creation. Kitapkokusu This is a Turkish group, I don’t know Turkish, but they do have some nice images and clips. Eurovision Banter and Mischievous Malarkey 2013. Another Andrew McFall group. I seem to get dragged into all of them. About Eurovision Song Contest. Slough 1980’s Nostalgia. This also makes me glad to have left Slough. Unknown A group about art and conspiracy theories. HOT RODS TO HELL About cool cars. Students of TESOL and Applied Linguistics Relates to my job as an English teacher. Thursday Night is Music Night – Virtual Album Listening Club. Group members choose an album to listen to together on a Thursday night. The album is usually Heavy Metal or Prog Rock. Is There a DFS Sale on at the Moment? Yes (there always seems to be a sale at DFS). An Andrew McFall creation. with some kind of photographic elegance if possible. Special Friends of Iago Created for myself and some very special friends. Iago was the name of my avatar in Second Life. This group is not very active. 173 views on the main blog, 56 views on the diecast blog. I wonder whether I should “go premium” at a cost of $99/year. Quite a diverse geographical range, no viewers from Canada or Australia yet. To all my viewers I would like to say “hello, bonjour, გარმაჯობა, hola, namaste, salaam, ahoj…etc…” Please feel free to comment, I’m still new to this blogging milieu. 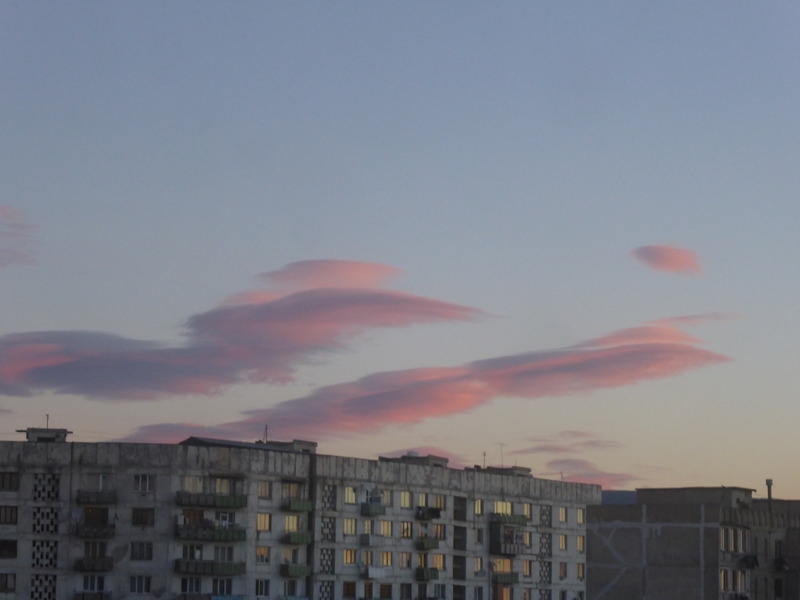 The view from the window this morning, sunrise over Varketili (Tbilisi, Georgia).